My oldest child, now an adult, first kept guinea pigs about 30 years ago. She kept them indoors and delivered fresh grass and sliced vegetables to their cage, took them outside to play and graze in a grassy enclosure on sunny days, and tried to remember to clean the bottom of their cage out every day. It was a fulltime job. My youngest child, not yet a teenager, has a completely different approach to keeping guinea pigs. Instead of keeping them indoors and taking them outside for a treat, they live outdoors all through the year - and come on little adventures inside the house occasionally. When she's tackling a difficult assignment for school, a guinea pig sits on her lap to encourage her to stay put until the job is done. While one hand writes, the other hand rhythmically strokes her little friend. 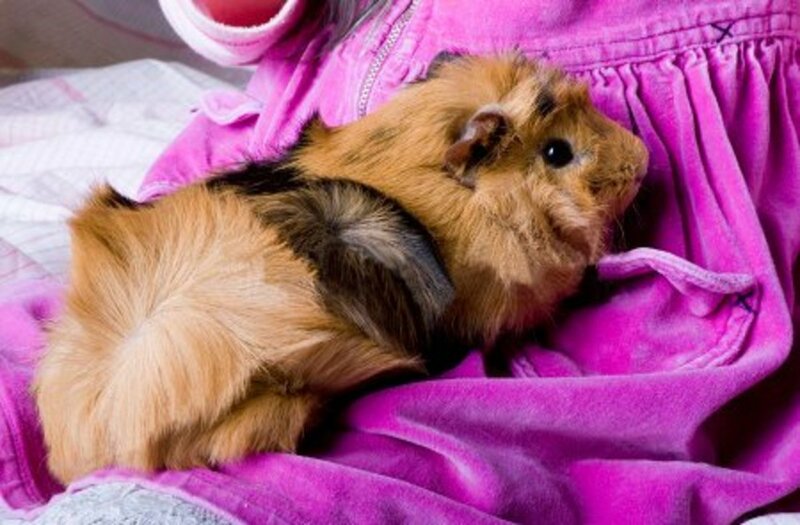 She often wanders around the garden with a guinea pig tucked inside her jacket and one or more might get a chance to come inside and watch tv. There's even a guinea pig cage (with two storeys and a ramp plus wire mesh inserts placed in the doors) in her tree house. With her dad's help, she created it from a wooden cupboard and then painted it blue. The boys are kept separate from the girls after babies are born, giving the mothers time to rest and recuperate for a few months before allowing them to breed again. The bachelor pad is a triangular structure originally designed to hold rabbits, but given to her by a woman who no longer needed it. She checks her guinea pigs' food and water every day and makes sure they have fresh greens to eat, but cleaning their cages is no longer a necessity. A cage with a wire base positioned on grass is easy to freshen by simply picking it up and moving it to fresh grass. 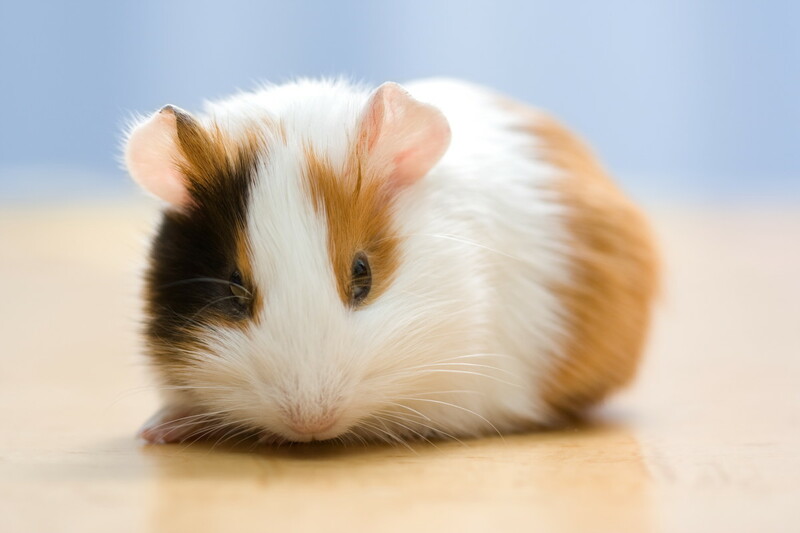 Would you rather your pet guinea pigs live inside your home, or outside? In the house. I'd be worried about them living outdoors. Outdoors would be great. I'm not a fan of cleaning cages. Everyone loves baby animals. Breeding, however, is often complicated. That's not the case with guinea pigs. Females can successfully breed from a young age. In fact, it is recommended they have their first birth young. Babies are born fully formed and covered with hair. There's no waiting for hairless bubs to develop and open their eyes before children can pick them up and play with them. 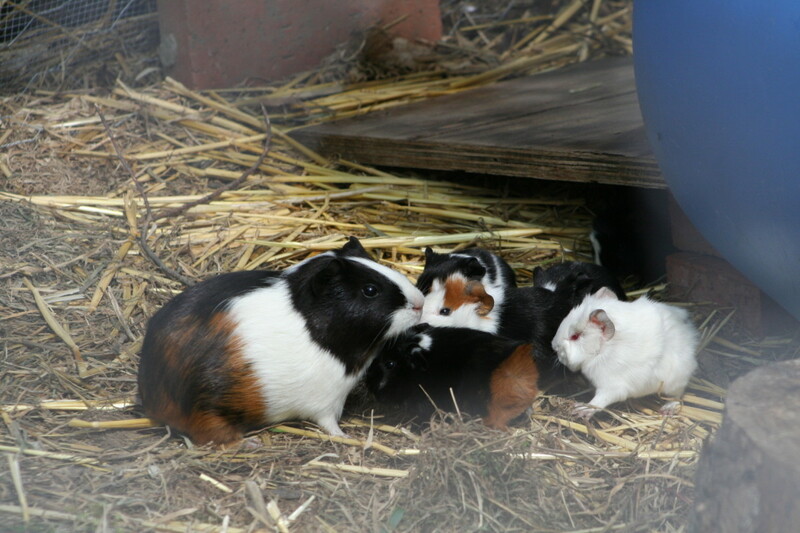 Guinea pigs seem to welcome all babies into their community. We've never witnessed any form of aggression or jealous behaviour towards the new-born. It is very obvious when a guinea pig is reaching full term. Their little legs seem to disappear and bellies grow so big the mother looks like she's about to burst. There's no confusion about when to leave them alone and let them start nesting. How Big Is A Baby Guinea Pig? 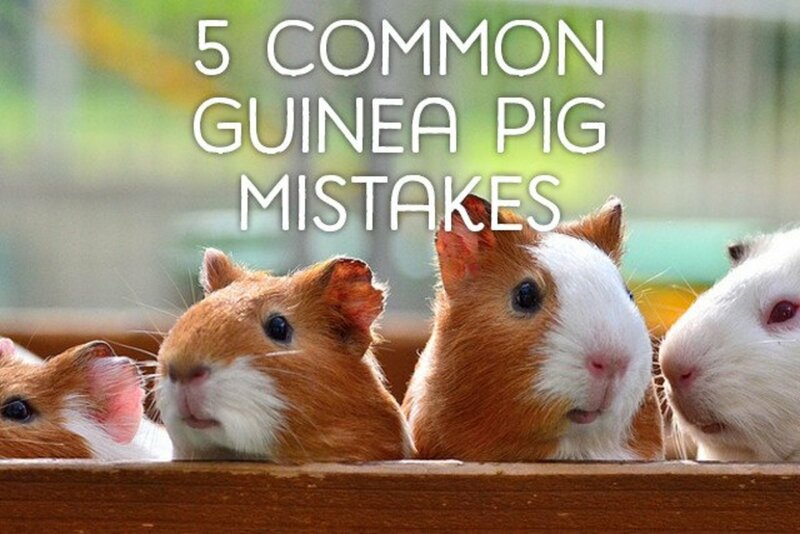 When a guinea pig is set free inside the house, it can be almost impossible to catch. Darting around behind furniture and hiding under the middle of the couch, a quick-moving guinea pig can take hours to catch. 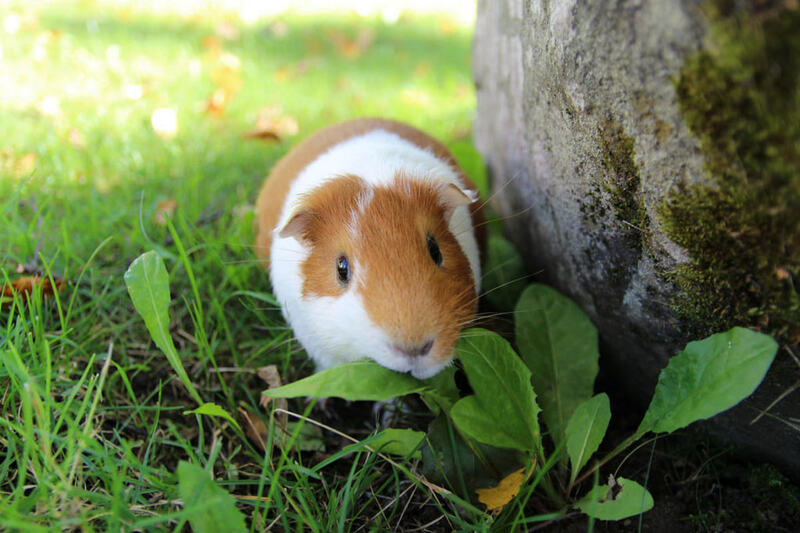 If you're lucky, a wanderer might come close enough to a piece of carrot or a cabbage leaf for you to grab it, but if a guinea pig is used to being fed in a cage there's a good chance it will ignore food in the middle of your carpet. Obviously it is courting disaster if you let a guinea pig run free in your garden. With an abundance of food to choose from, there's a good chance it will decide to free-range forever. Some people might manage to establish a guinea pig's home in a box before taking down the surrounding barriers and be confident it will return at some time to be caught for a cuddle, but there's always the danger of it being eaten by a cat or some other predator. So how can you safely provide a guinea pig with an environment where you can catch it if you want to, but still let it roam free? 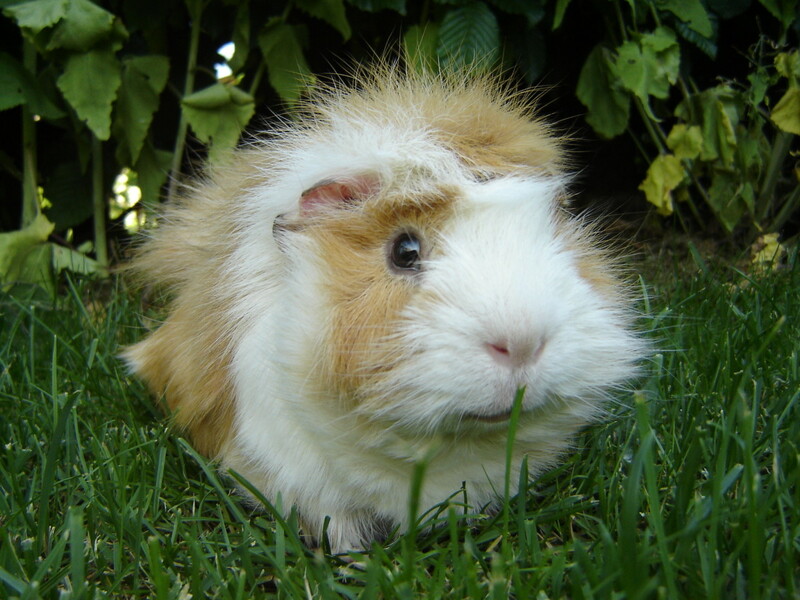 If you have a greenhouse or a structure protected with shade cloth, there's only a few modifications necessary to adapt the area to accommodate guinea pigs. You need to stop them escaping. This can be achieved with wire mesh at the lower level. They'll need shelter from the sun and the rain. Provide them with a box or a barrel to sleep in. Exercise is important. Leave them room to run under planter boxes that contain your herbs or flowers. Protect them from the cold. 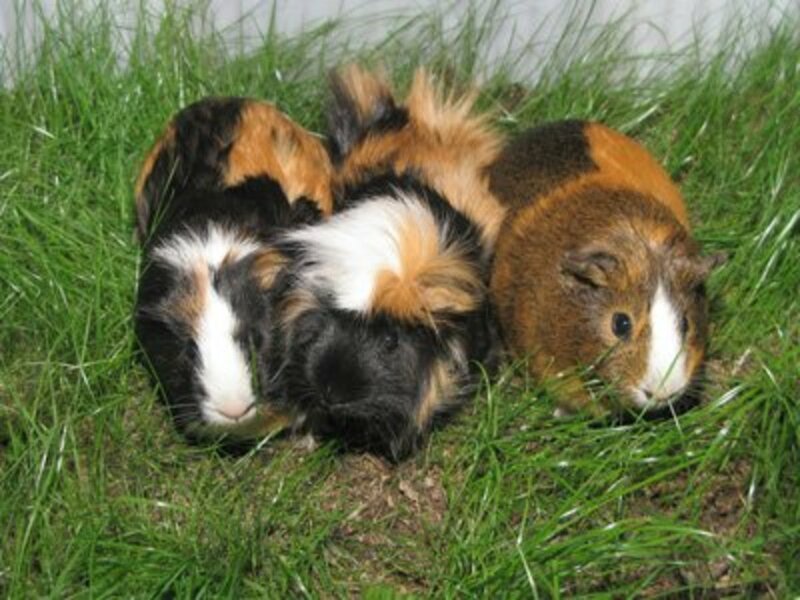 Keep two or more guinea pigs so they can huddle together and share body warmth - and fill their bed area with straw. Protect from predators. Make sure your outdoor guinea pig enclosure can't be accessed by cats, dogs or flying predators like hawks. Fresh food and grass is essential. 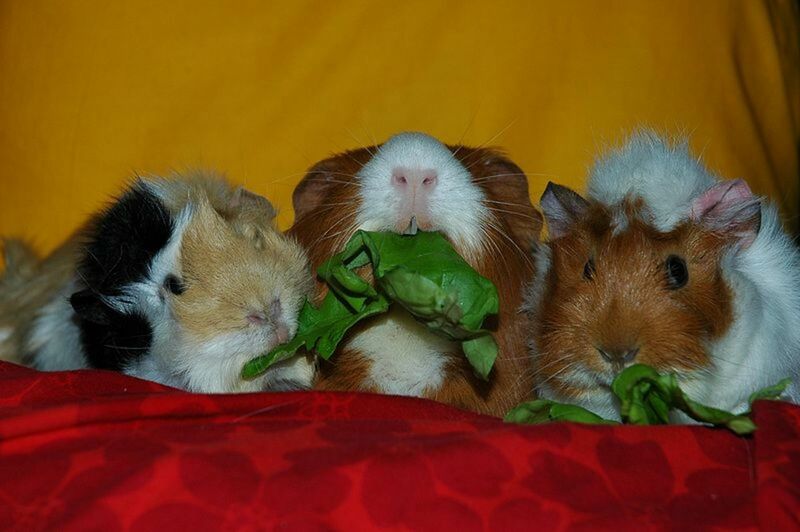 Feed your guinea pigs regularly. With the benefit of hindsight, I feel a bit silly about the way we fed our family's guinea pigs years ago. 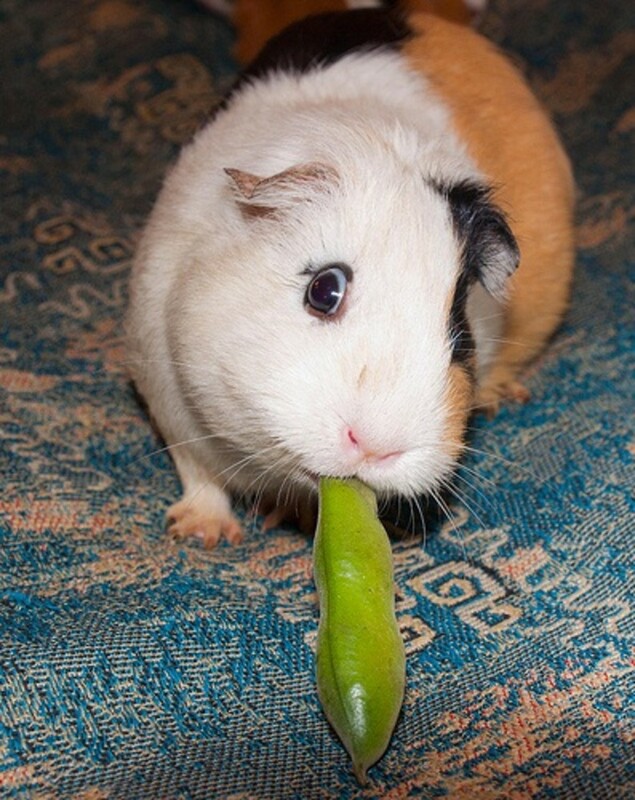 Chopping and slicing vegetables seems rather unnatural when you think about guinea pigs in the wild. Nature gave them sharp teeth to gnaw and chomp their way through food. They love grass and need fresh grass every day to ensure they get a constant supply of goodness including Vitamin C, but grass is not their only food source in the wild. 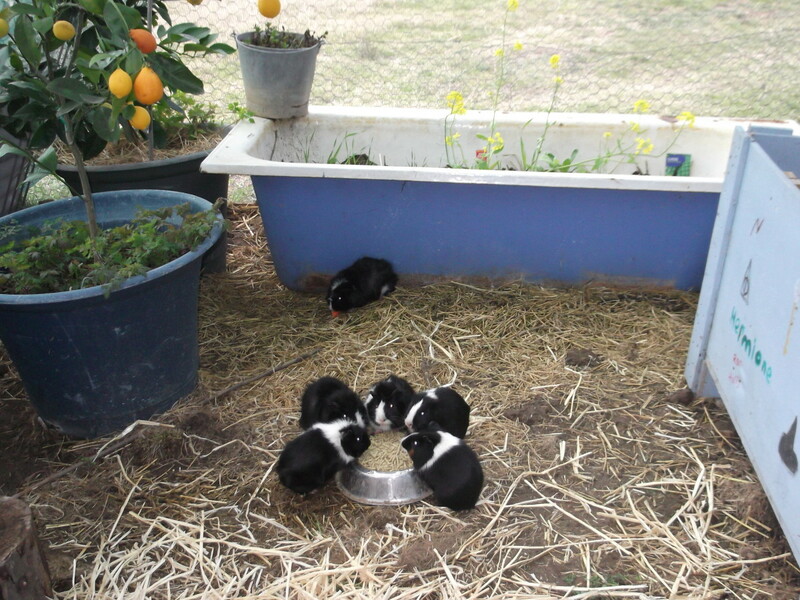 We grow lots of organic vegetables, and the guinea pigs love munching on most of them. Big comfrey leaves are devoured within minutes. The giant leaves from globe artichokes can keep them busy for hours. 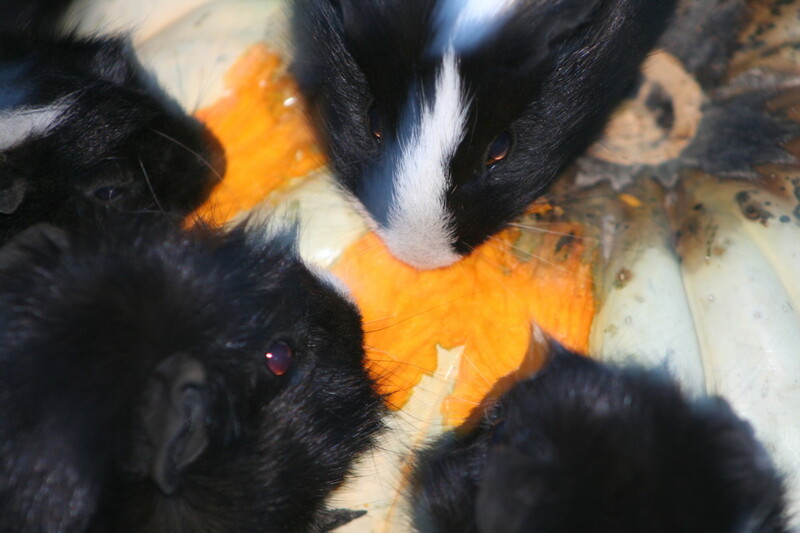 A big pumpkin put on the floor of their enclosure can keep them busy for days! Listen to your guinea pigs and they'll tell you what they need. Guinea pig noises are very specific, and quite easy to identify with a bit of practise. 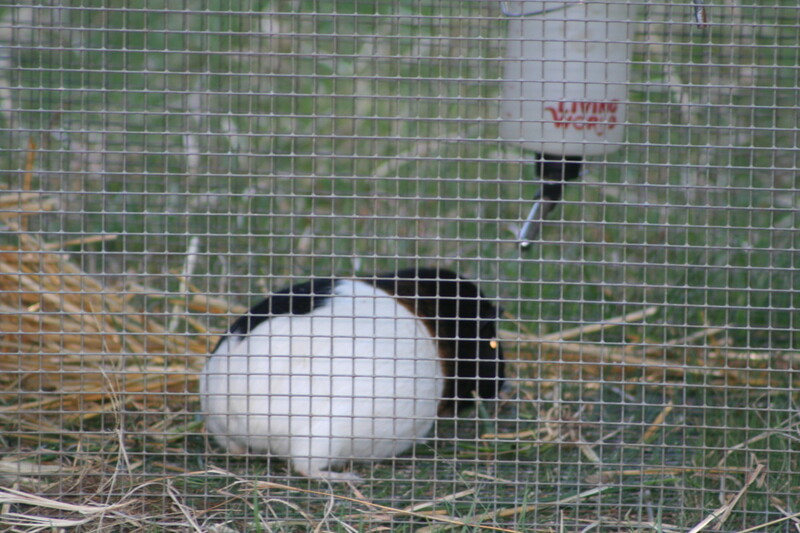 We can tell what our guinea pigs are saying from a distance because we are used to the sounds they make. For instance, we feed our guinea pigs twice a day. They are used to the routine and come to the door when they see a friendly face approaching. Any one of the group can be picked up for a cuddle when they gather to eat. They are not at all frightened by us and gather around the food even if we remain standing or sitting close by. On the rare occasion when we miss a meal time, they call for a feed. They have specific calls for 'bring more food' or 'top up our water bottles' and a lovely gentle purr when they are being stroked. With time, it becomes easy to understand what guinea pigs are trying to say. How do I make my guinea pig more confident? Be patient. Hold your guinea pig gently and hand feed it with grass. Talk quietly with it. Get it used to coming to you as you hold grass outstretched. I believe a guinea pig’s confidence is linked to an owner’s patience. Maybe it needs a smaller home for a while, so it is not so easy to hide from you. Or perhaps it needs a friend. If you had another friendlier guinea pig, this one might follow its lead. You can go to the vet but I suspect the vet will suggest surgery for your guinea pigs, not an injection. It is easier just to keep the sexes apart. Watching guinea pigs hanging out alongside love birds must be very cute, Barbara. I raise my guinea pigs outdoors on the floor of my aviaries and it is really neat to see lovebirds and guinea pigs all eating grasses or veggies together. 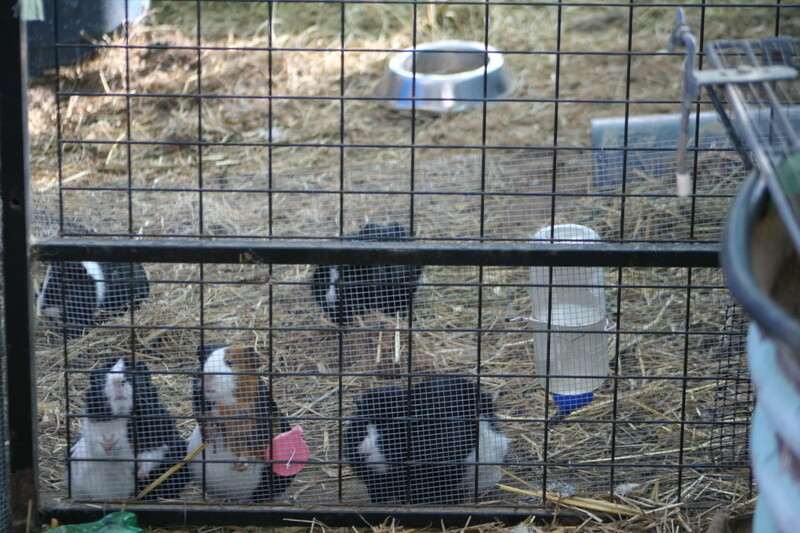 Yes, it is possible to house guinea pigs and rabbits together, Heather. The only rabbits where we live are wild rabbits, but we have friends who keep one rabbit and two guinea pigs together. Can piggies live with rabbits? I have an outdoor run, and it is surrounded with chicken wire, and the wire is buiried to keep the rabbits in. My mistake it occurred to me after that i asked a lot of repeat questions. The only thing I don't see is if you do any special preparation for winter. When you put up a mesh to separate them do the males ever fight? Our males never fight. The boys hang out happily together. No shortage of food so that eliminates one main area of conflict. We've had the old boys since they were babies. Bought them at the same time from very different directions so it is safe to say they are unrelated. I prefer not to follow the mesh separation option because I like to keep life as simple as possible. It is much easier for us to just move the males into their own separate housing elsewhere on the property. I mentioned the extra straw and a bale of lucerne for winter, plus the occasional pumpkin and pellets. It is important to give them the 'tools' they need to stay warm. Remember, ours are in an area covered with shade cloth and have big planter boxes to hide beneath as well as their own barrel on its side. Despite the heavy frosts, I can keep citrus trees alive in pots in that area - so I am not suggesting just putting them out in an uncovered enclosure. Thank you for the info. How cold do your winters get there? Have a lot of wind? Hiw hot do the summers get? Do you do any special preparation fir the winter months? How often do you bred them? Is it alright that newborns be around other females (besides the mother) and males? 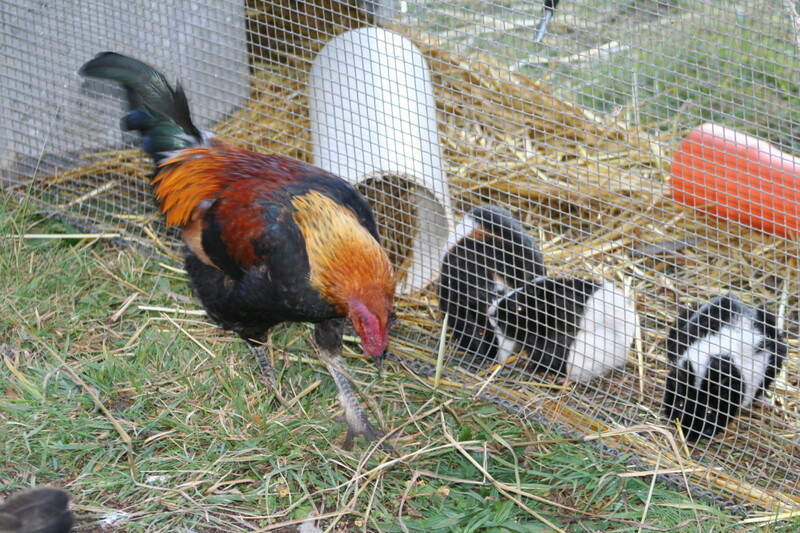 Well I know chickens will stop laying eggs due to how cold it is, but probably not the same with guinea pigs. Do they ever make the attempt to breed in the winter? Or do they need to be separated in the winter months? Our birth rate varies. 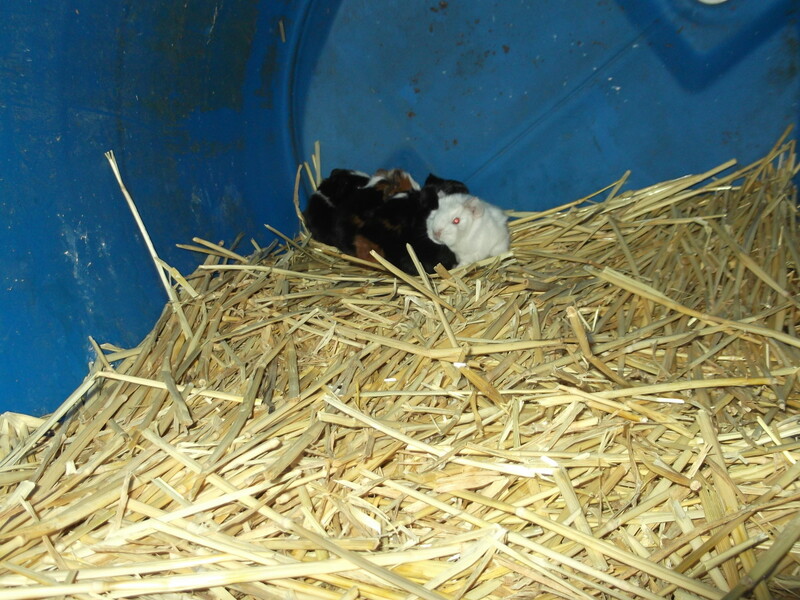 My intention is to restrict breeding to twice a year, but sometimes accidents happen. lol. I certainly don't let my daughter 'farm' them, but I accept that in the natural environment they'd probably be pregnant almost continually. 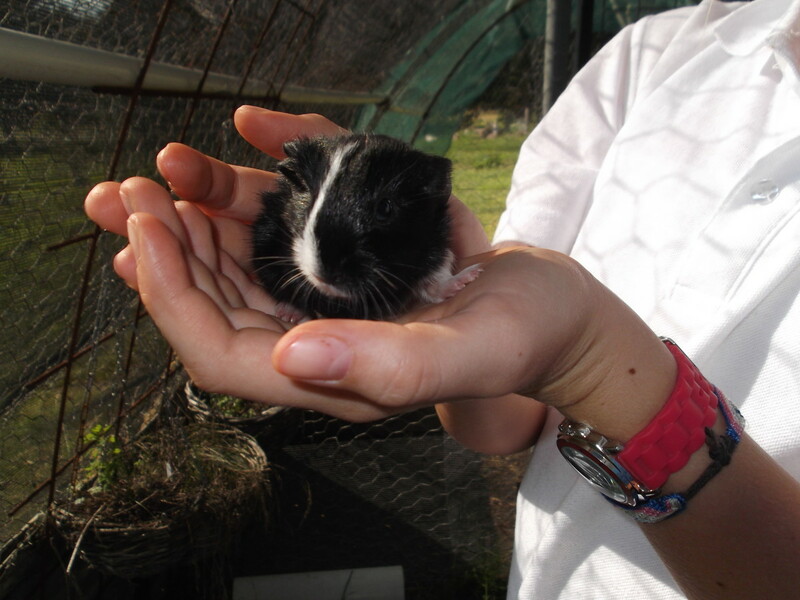 It is best if they are young when they have their first litter - and that can be just one single guinea pig. Maybe two. 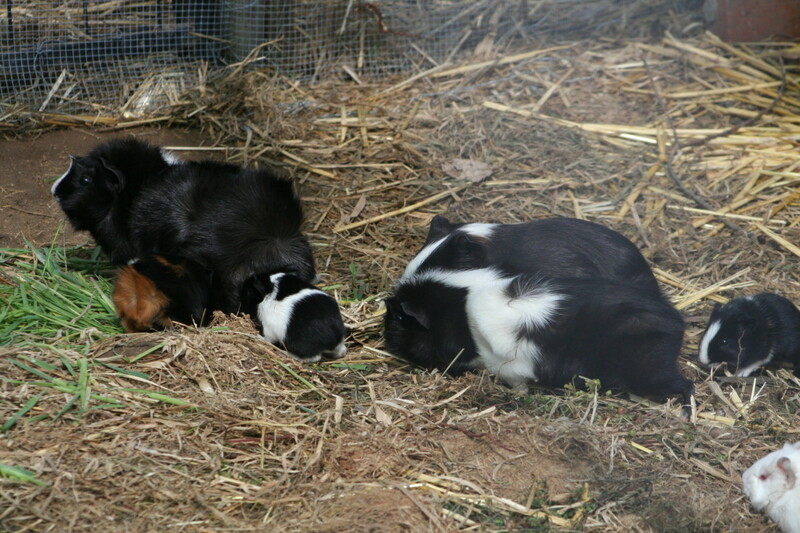 After that, it is hard to predict, with some litters having six. It is probably worth a phone call to your local pet store before breeding starts so you can have a plan in place for giving them a new home promptly. We have a couple of pet stores in a nearby town where there's a constant demand for my daughter's guinea pigs. As soon as a litter is born, we phone so they can start telling customers when they are expecting to have guinea pigs for sale. Thank you very much for all the info. I highly appreciate it. I'm sure I'll have many more questions as I go through my own process with them lol. About how many pigs do you have born in a years time? Hello, Richie. I am happy to answer your questions. The male to female ratio varies but there are two males we've had for years and three females (all unrelated). These remain her key breeders. The babies go to new homes, but we have had up to a dozen of one gender (based purely on luck when it comes to gender of babies) as they are growing. 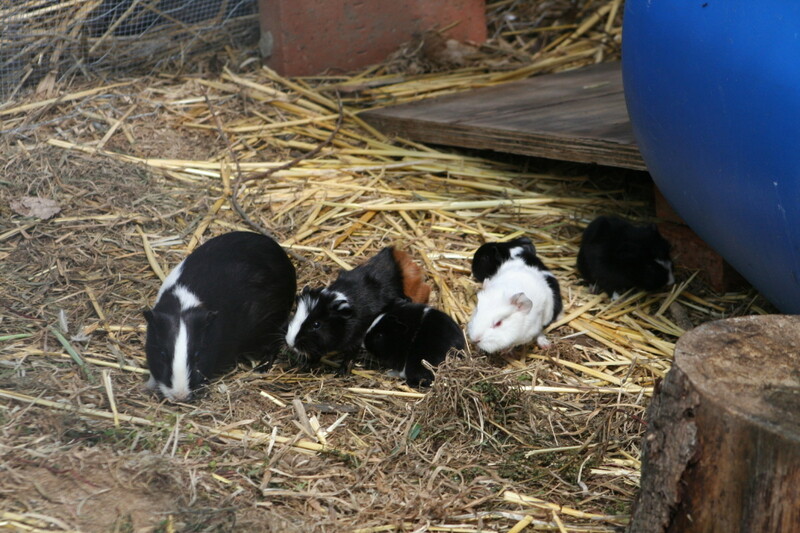 Yes, we feed them a pelleted guinea pig food (not rabbit pellets) but that tends to be during the colder months when there's not as much fresh food available in the garden - and grass is a necessity in their diet every day. If we don't have much grass, we feed more pellets. Winter is when they get to feast on pumpkins as well. Our winters fall to -4Celcius and we get very heavy frosts. It is important to keep an eye on their bedding because guinea pigs eat straw and you might find they've eaten all their bedding if they decide they feel like an extra snack. To combat this, when it is winter time I fill their bedding boxes with straw but in the largest enlosure I also put an entire bale of lucerne. They nibble on it at will until the whole bale is gone. Takes a long time for it to be devoured and you have to remove the string once it becomes free so they don't get tangled in it - but it is just one of the ways we make their lives more pleasant and make looking after them easier for us. You still have to check their bedding though. Oh, and make sure their water doesn't stay frozen all day! Sounds like a lot of work when I write it out like this, but it isn't. Just becomes part of our daily routine. My daughter checks and feeds her guinea pigs every day before and after school. (Beats watching the television.) And I check they have food and water when I walk past .... also every day. Also, how bad do your winters get where your located? Is there a lot of work to prepare them for winter? I have a couple questions if you don't mind. What is your male to female ratio? When you separate them after breeding do the males go into a completely different cage in a completely different area, or just a divider of some sort put up to keep them to one side? Do you feed them a pelleted food at all? I miss having a guinea pig. My pair of guinea pigs also had babies. I see your pets look really happy. Cute pics, thanks for posting. That does make it so easy. What a great idea and I bet the Guinea Pigs love it outdoors. The sound they make is sooo cute! This was so much fun to read and I love the pictures and video. My niece and nephew had a guinea pig some years back but keeping them motivated to clean the cage was challenging. We ended up bringing the guinea pig back to the humane society. They are darling little animals and I think it's great your kids have such a love for them. I am sharing this with others, especially my granddaughter who has one for a pet. They are such a great way to learn about care and are so huggable. Voted up! I have heard that they are such wonderful and loving little pets. It's nice how you can have them both in- and outside. Thanks, Eddy. I know my adult children remember their little guinea pigs fondly. One also had mice ... but I was not so happy about having them in the house. lol. Oh how I loved this one; having been a proud owner of these wonderful gems once upon a time it was indeed a treat. Voted up and here's wishing you a great day.